When asked what a financial life planner does, I often reply that I help people achieve financial wellness. Financial wellness is far more than just having enough money. Some of its most important components include a sense of prosperity, a history of wise financial decisions, and enough money to support one’s health and happiness. However, financial wellness is not our ultimate goal as human beings. There is a greater level to which we aspire, that of well-being. While it is possible to have financial wellness without having well-being, one can’t have well-being without health, happiness, and prosperity. Consider the last component of financial wellness I listed above—having enough money to support one’s health and happiness. Just having enough money to support health and happiness doesn’t automatically mean you have either. Financial wellness, then, is a subset of the greater concept of well-being. 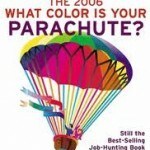 John Nelson, co-author with Richard Bolles of What Color Is Your Parachute? for Retirement, discusses the concept of well-being in the June 2010 edition of The Integrative Adviser. Nelson writes that well-being is the single word that encompasses three fundamental human goals: prosperity, health, and happiness. Prosperity is financial well-being, health is physical well-being, and happiness is emotional well-being. Nelson writes that the three dimensions of well-being are represented by three fields of knowledge: happiness is Psycho-Social, health is Bio-Medical, and prosperity is Geo-Financial. In the Psycho-Social dimension, we have the fields of psychology and sociology. While much of psychology has studied what makes us miserable, the latest research in the field is focusing on what makes us happy. Social psychology focuses on our relationships and connections in society. The Bio-Medical dimension includes the fields of biology and medicine. Medicine deals with the prevention and treatment of disease, while biology focuses on building up our personal biological vitality. Of course, the field of knowledge I found most interesting was the Geo-Financial, which encompasses geography and finances. The financial side of this is obvious, but it isn’t immediately clear why Nelson includes geography in this component. “Because the relative value of our finances are affected by location,” he explains. Where we live affects our cost of living, lifestyle expectations, and ability to earn an income. For example, people living in Rapid City, South Dakota, can experience a much higher lifestyle on the same income than they would living in New York City. What profession comes closest to helping people obtain all three components—prosperity, health, and happiness—that constitute well-being? According to Nelson, it is comprehensive financial life planning. This approach is based on the belief that financial planning should support clients in more than just building financial independence. 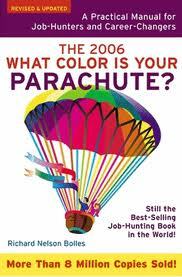 It also helps them clarify and achieve the dreams that represent happiness for them. 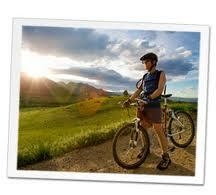 It helps them invest in their physical and emotional health as well as their financial health. The next time someone asks me what a financial life planner does, I’ll have a new answer. I don’t just help people achieve financial wellness; I help them achieve well-being. Hey you have been doing all of the above for us for many years. You oversee our finances, we are healthy and happy. I’m especially happy when we head off to the Final Four!!. Have a great day, week and stay happy. your POP. Some very interesting ideas here. Thanks. By the way, please note the change in my website address. Those with chronic, untreatable illness or other conditions are then, by definition, unable to have well-being. I disagree. While their quality of life may be different than those who have their “health”, they can still experience well-being. I know, I live with such a person.